Gannomat Selekta 252 RTA Pin inserter. 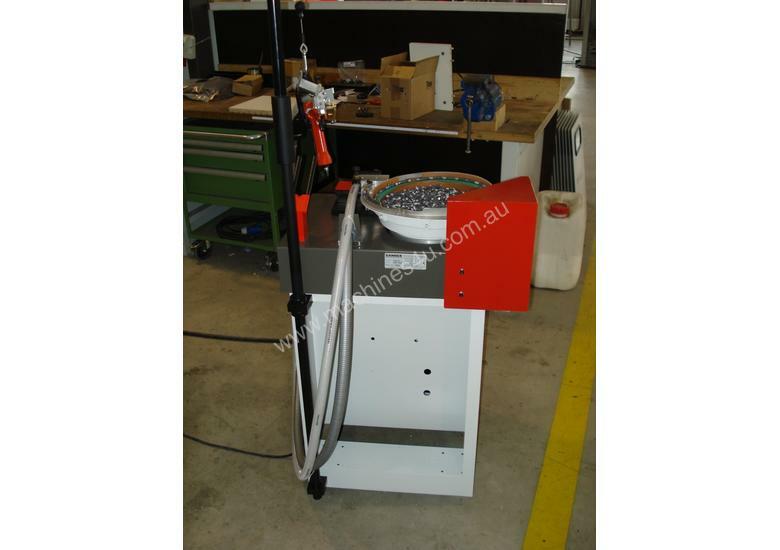 This machine is specifically designed to insert RTA pins into existing holes. The typical cycle time for this operation is approximately 1.5-2 seconds per pin and with a little bit of practice, up to 40 pins can be inserted in just one minute. 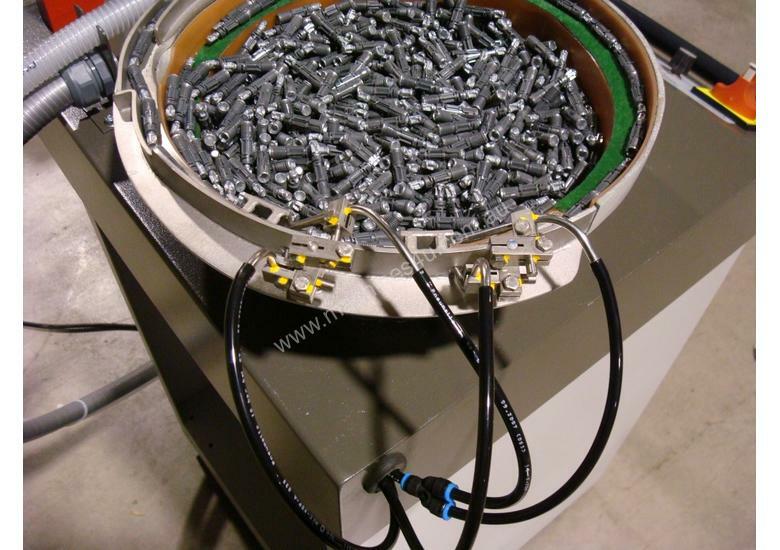 The specially manufactured feed bowl is designed to rotate and point the pins the correct way around for insertion. Then they are transferred to the insertion gun, where they are inserted with the utmost precision and constant repeatability. RTA-dowels can only be inserted horizontally similar as with wooden dowels in the end of a shelf. 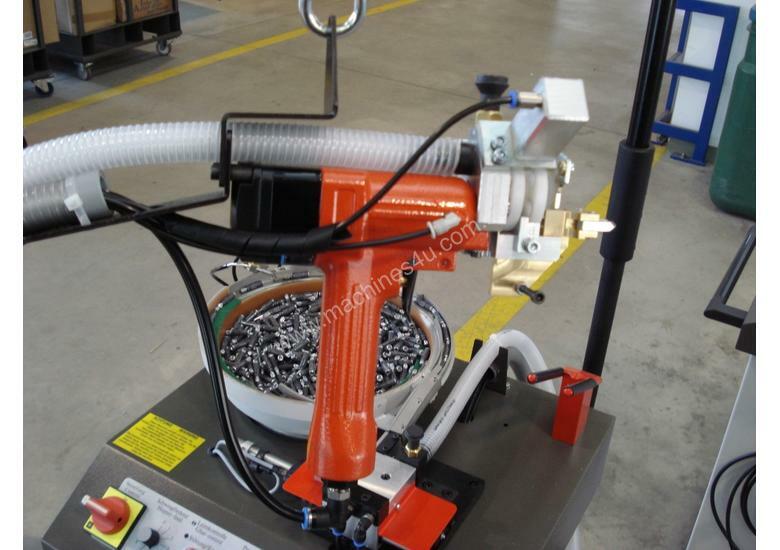 This Selekta is a special purpose machine for the insertion of RTA-dowels only. The same machine is also available to insert Glue and dowels. Designed and build by Gannomat, this machine is made in Austria. Ville-Tec is the sole agent for Gannomat in Australia.